These 10+ Tools Will Boost The Productivity Of Your Social Media Campaign! HomeTipsThese 10+ Tools Will Boost The Productivity Of Your Social Media Campaign! When you started a business, you didn’t expect it would demand so much activity on social media. However, you have to establish a reputable presence on these platforms and connect with your fans and followers on daily basis. Almost all business owners and marketers include social media marketing techniques in their mix. As an entrepreneur, you have a responsibility to connect with your potential and current customers and present your products or services or useful content in the most effective manner. The following tools will help you create a more productive social media campaign. Social media users are mostly attracted by visual content, so you are expected to post creative images on a daily basis. That doesn’t mean you can use any image you find on Google; a serious business owner has to be mindful about copyright issues. Pixabay.com is a website where you can find free high-quality images and use them in any way you want. You will certainly find something that fits into your needs in the huge collection of over 320,000 free photos, art illustrations, and vectors. If you publish articles and blog posts associated to your business, your activity on social media platforms will become much more productive. When you don’t have enough time to create unique content, you can easily hire expert writers at custom writing service NinjaEssays. The company will pair your order with a writer from the suitable discipline, so you can expect the results to be great! In addition to your blog posts, you should also post different articles associated to your niche. With the help of BuzzSumo, you can find interesting content that your fans and followers would be thrilled to share. Managing different social media websites takes a huge chunk of your time. With the help of Buffer, you can drive traffic, increase fan engagement and save lots of time by scheduling posts to be published on different social media platforms. Buffer for Business will make it easy for you to create a consistent presence without focusing too much on this aspect of your marketing campaign. With this tool, you can analyze and monitor your Facebook page and use that information to drive more traffic to your website. In addition, you can use LikeAlyzer to get analytics about your competitor’s page and compare the data to yours. This information will help you explore different possibilities and increase the effectiveness of your social presence. You can easily capture the attention of your fans and followers through simple graphic design associated to your business. You don’t need to possess advanced design skills to achieve that; Canva will help you create awesome Facebook covers, invitations, business cards, flyers and presentations without much effort. Twitter is becoming more influential by the day, so you need to establish your reputation there and create a solid base of followers. With Twtrland, you can discover influential Twitter users who can promote your brand. In addition, you will also see a visual snapshot of your presence on Twitter, Instagram and Facebook. This real-time monitoring app will provide you with information on what’s being said on the web about your business. If someone leaves a positive or negative comment about your products and services, you can react quickly and benefit from the situation. This social media monitoring tool enables you to manage the engagement on all social accounts you’ve created. You can also monitor the VIPs, influencers, and competitors, so you can easily discover opportunities to engage in productive discussions. Take a look at the infographic below, created by Red Website Design, for more social media management tools. With the above-listed tools, you’ll make your social media campaign more productive and less challenging! 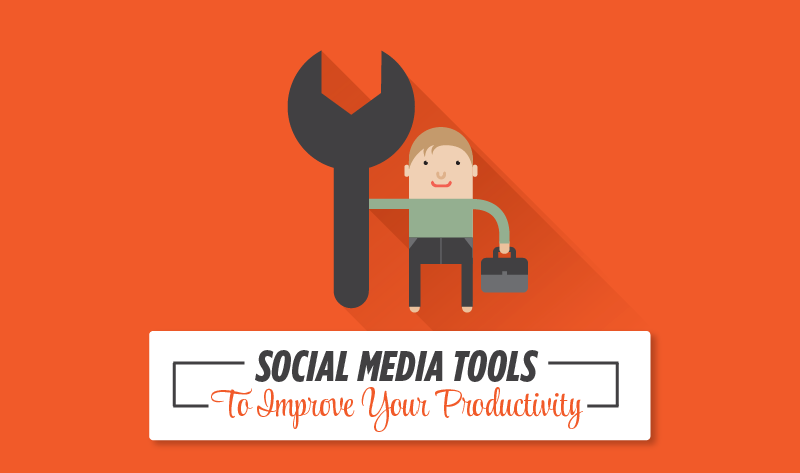 Do you use any of these tools to optimize and monitor your social media channels? What other social media tools are working well for you? Share your thoughts in the comments.